Nadja Regin was a Serbian actress who appeared in two “James Bond” movies; “From Russia with Love”, as the mistress of Kerim Bey, and a smaller appearance in the pre-credit sequence of Goldfinger. 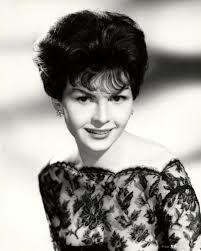 Regin was born in Belgrade, Serbia, and began acting at home and in Germany before moving to the UK in the mid-1950s. Her novel is a war-torn romance between an idealistic poet and a beautiful dancer during World War Two.